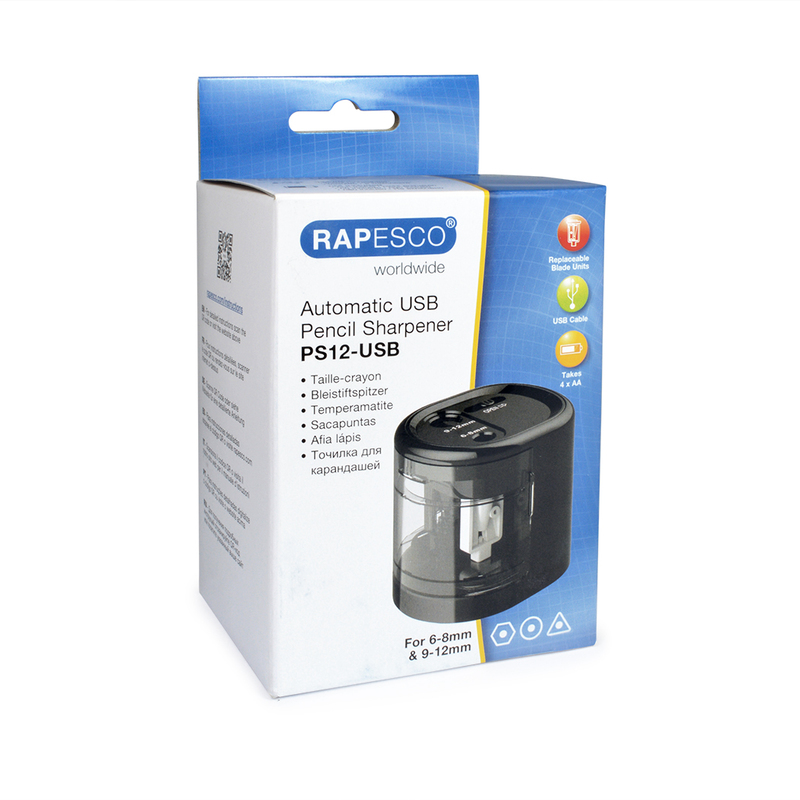 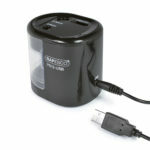 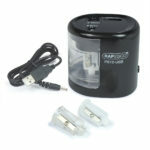 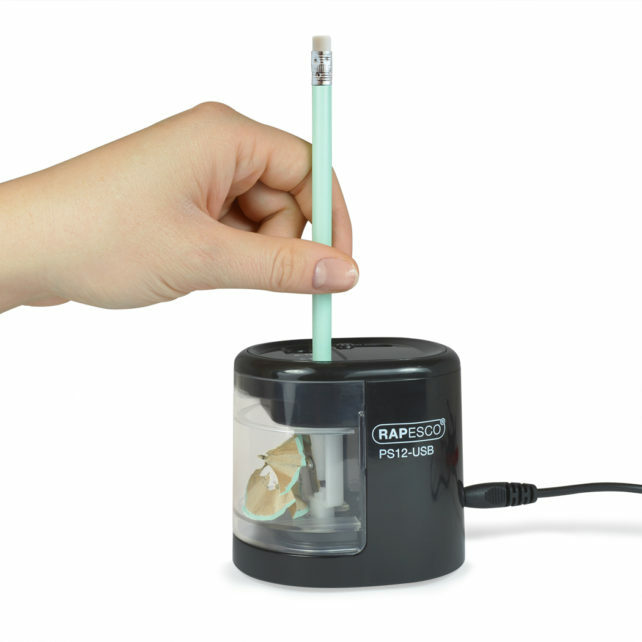 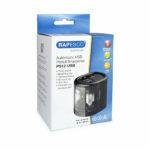 The PS12-USB is a stylish dual powered (USB or battery) automatic pencil sharpener that provides quick and precise sharpening with ease. 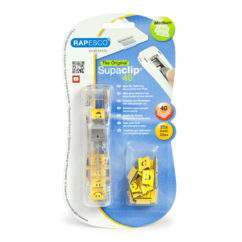 Featuring a double-hole design to fit pencil diameters: 6-8mm and 9-12mm. 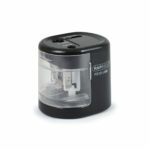 Simple to clean by removing shavings tray and emptying over a waste bin. Designed with auto-off feature that stops operation when shavings cover is removed, also features a safety lid cover over the large hole. 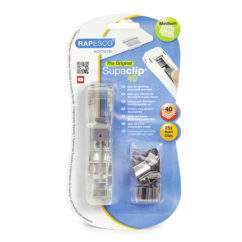 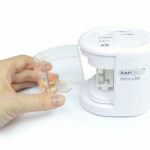 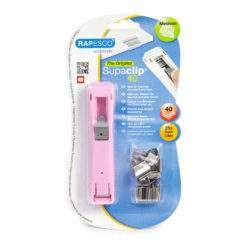 Supplied with 2 replaceable blade units that are easily changeable.